PRICE REDUCED & MOTIVATED SELLER! !Enjoy the magnificently beautiful lake view from your additionally built breakfast room. 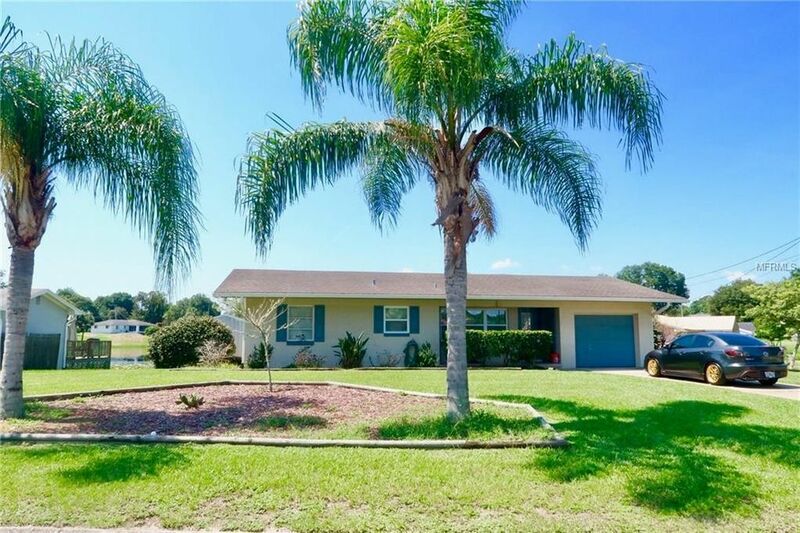 With this property sitting on the corner lot in town, it allows space for all the fun in the sun activities that Florida has to offer. From the moment you step in the front door, ceramic tile lathers the floors until it reaches beautiful wood laid throughout all 3 bedrooms. 2 full bathrooms included as well. The natural lighting in this home is spectacular. The floor plan in this beauty creates privacy for everyone in it, while maintaining its true cozy nature. Sale includes washer, dryer, fridge, oven, blinds, water heater, and shed that lies on the spacious and breathtaking backyard which only adds to the great deal already. Priced to sell, open to all offers. Truly a hard to find gem in an area of low inventory. Don't hesitate, don't wait!